The Swainson’s Warbler is a small species belonging to the New World warblers. These birds are very uncommon, found mostly in flooded swamps and cane fields of the southeastern United States. They may also rarely be seen in the rhododendron thickets of the southern Appalachian Mountains. In winter months, the Swainson’s Warbler migrates southward to the Greater Antilles and the Yucatan Peninsula. Nests are constructed and situated in tangles of vines and tall reeds above the ground. Typical diets consist of insects and seeds, and sometimes small invertebrates. 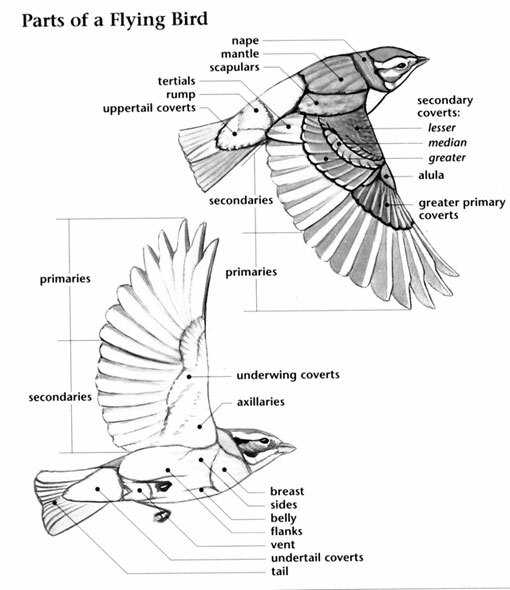 The conservation rating of the Swainson’s Warbler is Least Concern. Swainson's Warbler: Medium-sized warbler with olive-brown upperparts and pale gray underparts. Head has brown cap, white eyebrows, and dark eye-lines. Wings are plain olive-brown. It hides in dense thickets, where it forages on the ground looking for insects, spiders, and caterpillars. Swainson's Warbler: Breeds throughout the southeastern states from Texas to Virginia. Within this range, lives in canebrakes and thickets in swamps and among hardwoods; in the southern Appalachians it is found in laurel and rhododendron thickets of moist, montane forests. Winters in the West Indies and areas south. Song is a "whee whee whee whip-poor-will". Flight call is a high-pitched "seep". Song starts with a few high-pitched notes, followed by mix of short, hurried phrases. The Swainson's Warbler is unusual for its two populations breeding in entirely different habitat types. If it weren't for its loud, ringing song, its presence in many areas would go completely undetected. It is named after William Swainson, an early-19th-century British naturalist. 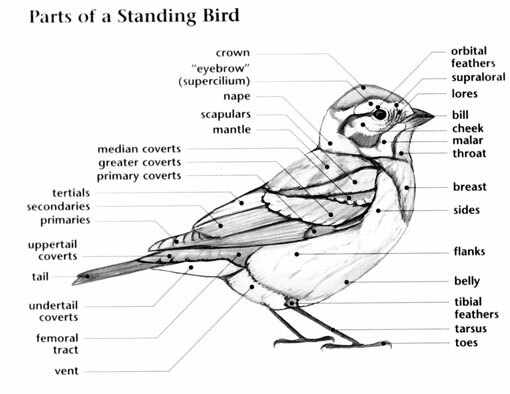 A group of warblers has many collective nouns, including a "bouquet", "confusion", "fall", and "wrench" of warblers. The wood-warblers are one of the one hundred eighteen families of birds in the order PASSERIFORMES (pronounced pas-ser-i-FOR-meez); a large taxonomic order that includes other small perching birds such as the vireos, the white-eyes, and the tanagers. The wood-warblers, or Parulidae (pronounced pah-ROO-luh-dee), are a large family of one hundred and twenty-two species in twenty-six genera that only occur in North and South America. North America has ninety species of wood-warblers in twenty-six genera; included in this family are the yellowthroats, a seemingly dizzying array of warblers, and the waterthrushes. The wood-warblers are known for their colorful plumages – the Blackburnian Warbler being one of the most striking members of this family with its deep orange-red throat that contrasts with its handsome black and white plumage. However while many species are known for their beautiful breeding plumage colors, they are also known to bird watchers as being extremely challenging to identify when in the fall they revert to their drab tan, olive, and pale colored plumages. Like several other Passerines, the wood-warblers are small birds with medium length tails, medium length legs and strong feet suited to perching. They have short to longish wings (in migratory species), and medium length, thin, pointed bills. Members of the Parulidae come in a variety of colors. Different shades of yellow and olive occur in many species, including the dull, brown, streaked plumages of females and immatures. In addition to having bright yellow in their plumages, males in bright breeding plumage can show orange, blue, grays, and handsome patterns of black and white. The wood-warblers occur throughout North America except for the far northern tundra. The many species of this family have evolved to fill a wide variety of niches including marshes (yellowthroats) to tree trunks (the Black-and-white Warbler), and spruce forests (the Cape May Warbler). Several species can reside in the same area, yet avoid competition by occupying slightly different habitats or feeding in different ways. Most species of wood-warblers are long distance migrants to Central and South America. Members of the Parulidae are not colonial nesters but often occur in mixed flocks with other species after the breeding season. They forage in a variety of ways for invertebrates, small fruits, and nectar. While the waterthrushes forage on the ground in streams and wetlands, and the Black-and-white Warbler creeps along tree trunks, most wood-warblers glean the vegetation of trees and bushes and make short sallies for their insect prey. The Kirtland’s Warbler is an endangered species restricted to a very specific type of habitat mostly found in Michigan; Jack Pine forests. Its habitat is managed for this species in a few national forests by ensuring that there are Jack Pine stands of the age and composition this species requires. Brown-headed Cowbird populations are also controlled on its breeding grounds. The Bachman’s Warbler is an enigmatic species considered to be extinct by most authorities although slim hopes for its continued existence are kept alive by a few possible sightings over the last thirty years. Historically occurring in the southeastern United States, this little known species is thought to have been dependent upon canebrakes on its breeding and wintering grounds in Cuba. Although the reasons for its decline are unknown, destruction of these canebrakes is the most likely reason for its demise. A Juvenile Great Cormorant in S VT? Veery or Thrush and if Thrush then what kind? Help with these birds please. 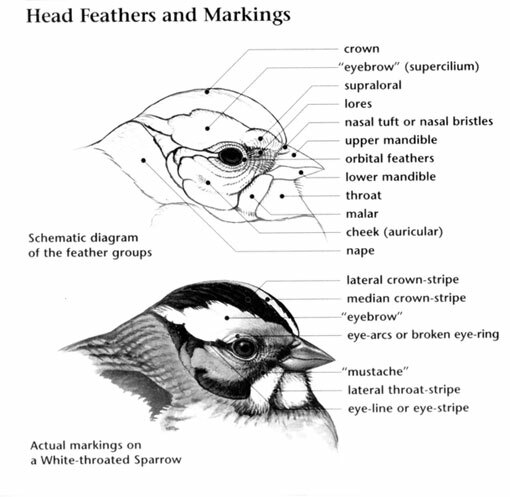 The area on top of the head of the bird.